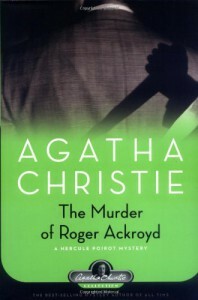 I can understand now why it is so praised and even compared to the other Christie's masterpieces, like Murder on the Orient Express or And Then There Were None. In this case the literal meaning of "extra-ordinary" is a precise definition of the story. Is it legit to be lightly satisfied because I was able to guess the murderer 20 pages before the end? Okay, only because Poirot started to show his cards...and to be honest I was not sure...I started to consider the possibility..uhm..okay, I've failed. And my failure is not definitely "extra-ordinary" with Agatha Christie's strokes of genius! She's always an incomparable master in these things, but I'm stating the obvious. I'm waiting for that particular moment when I will say that "I knew it! I knew it! Haa!" while I'm finishing another novel from her bibliography. Better to say I've dreamed a dream.